Sikkim University (SU), Recently Published A Recruitment Notification/Advertisement For The Post Of Non Teaching Staff, So Eligible & Interested People Can Apply For This Job Within The Last Date, 15th Of January, 2019. Kindly Do Check Out The Official Advertisement/Notification For Accurate Information Regarding This Job, It's Given Below. A. 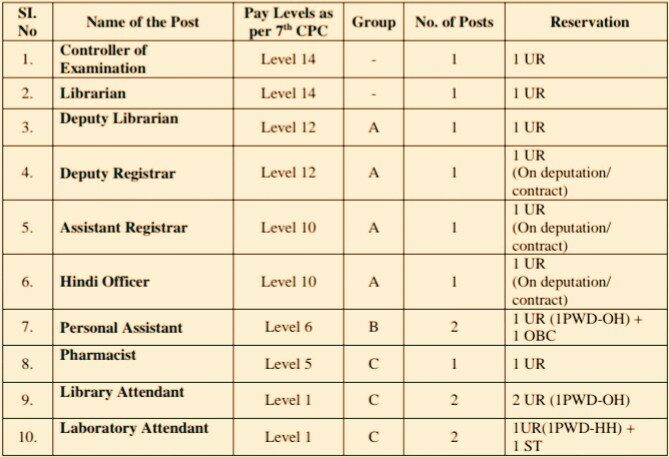 Number Of Vacancies & Name Of The Posts (ADVT. NO.SU/REG/Estt/F-2/09/2018/Vol.I/ 1569). Various Non Teaching Post (Kindly Check The Image Below For More) → 13 SU Non Teaching Online Vacancies. Total Number Of Vacancies → 13 Vacancy. B. Eligible Criteria For Sikkim University, A Central University Recruitment 2018-19. Mode Of Examination/Selection Process →Written Exam/Eligibility Test. Online Application/Examination Fee →₹1,000 For Group 'A' Post, ₹500 For Group 'B' & ₹300 For Group 'C' & There Is No Fee For Reserved Candidates, Mode Of Payment Is Online. Last Date For Online Application Form →15th Of January, 2019. Examination Date →For Sikkim University Exam Date, Please Do Check Out The Official Website Regularly, Link Is Provided Below. Admit Card Download →To Download The SU Admit Card, Regularly Check Out The Official Site. Result →We Suggest You All To Check Out Their Website For Result After The Examination, Link Is Here>The Official Website Of Sikkim University, India. Now Apply For Sikkim University Notification 2018, Below. All The Best And Do Visit Here Regularly For The Latest News Related To Jobs In Sikkim & More, Till Then Stay Safe And Blessed.